Psalms 16:11 You make known to me the path of life; in your presence there is fullness of joy; at your right hand are pleasures forevermore. This year at our Thanksgiving gathering, a family member told me that his brother recently became a Christian. This new convert lives in a different state and has struggled against alcohol nearly his entire life. He has dabbled with Christianity in the past but seemed only to play the game in order to get things he needed. The family member told me that this time was different. His reason for believing that his brother truly met Jesus was because he mentioned that for the first time in his life he was happy. He told his brother that he did not know this kind of joy was possible. The teaching that believes God wants you healthy, wealthy, and happy is false. We are not promised these things materially, and those who teach this do harm to the Church of Jesus Christ. 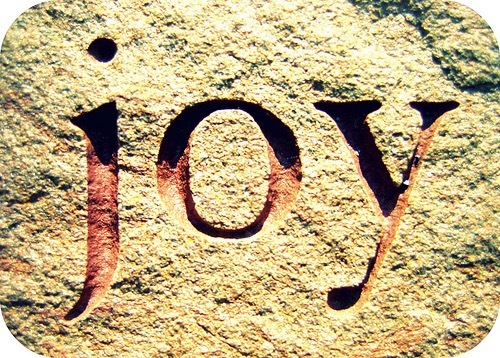 Yet God is a God of joy. We are told that in the presence of God there is a full measure of joy awaiting all who would come to him through Christ. Additionally, when the Holy Spirit comes to reside in the heart of the sinner, he brings with himself this full measure of joy which can be tapped into here and now. We get glimpses and glimmers of what awaits us someday in God's full presence. Should we come to Jesus so that we can be happy? No, this should not be the driving motive for coming to Christ. But those who come to Jesus because the weight of their sin has seperated them from God, and they desperately want to be reconciled; those individuals will experience glimpses of the full measure of joy that awaits those who love the One seated at God's right hand. I look forward to seeing my new brother in Christ either in this life or in eternity.